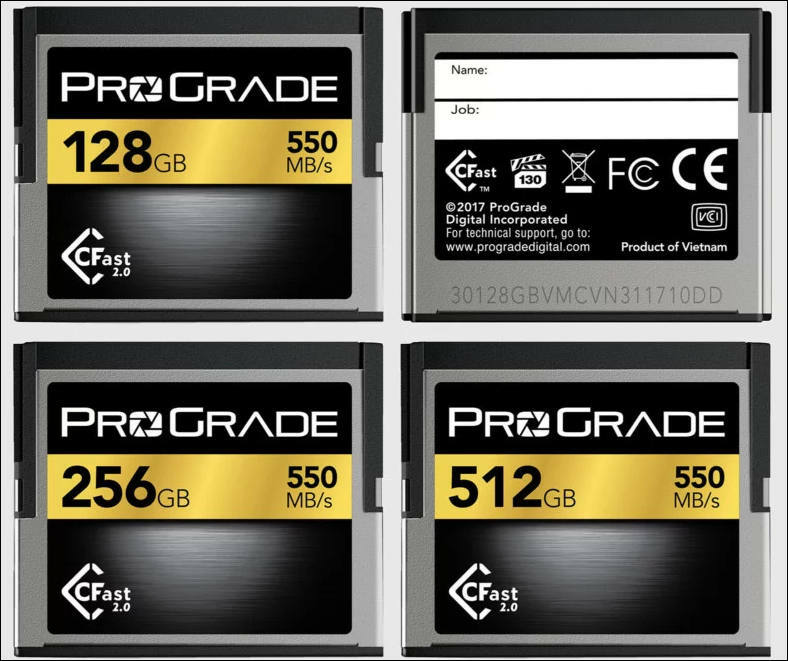 SAN JOSE, Calif. – Feb 15, 2018 8:00 am EST—ProGrade Digital, a new company founded on a mission to provide the highest quality, professional grade memory cards and workflow solutions available, today announced a new line of products designed to uniquely fill the needs of today’s high-end DLSRs, camcorders and digital cinema cameras. Memory cards will be offered in a variety of formats and industry-leading capacities. The company will also design and market a selection of card readers, starting with a CFast & SD Dual Slot Workflow Reader that boasts a USB 3.1, Gen. 2 transfer protocol. ProGrade Digital’s new memory cards and card readers will become available in the month of February at www.progradedigital.com, Amazon.com and B&H Photo and Video. ProGrade Digital was founded by former executives from Lexar who held management or technical leadership positions at the company recognized as the pioneer in memory card development for digital photography. The team has more than 60 years of combined experience in the design, development and manufacture of memory cards gained while working for Lexar, SanDisk and other firms. Leveraging its experience and industry relationships, the team will focus exclusively on developing and marketing memory cards, card readers and software optimized for use within professional cinema and photography markets. Imaging experts who shoot RAW, RAW HD video, 4K, 8K, 3D and 360-degree video may rely on ProGrade Digital’s high-performance storage cards and workflow accessories.